PASADENA, Calif.-- A new image from NASA's Wide-field Infrared Survey Explorer shows what looks like a glowing jellyfish floating at the bottom of a dark, speckled sea. In reality, this critter belongs to the cosmos -- it's a dying star surrounded by fluorescing gas and two very unusual rings. "I am reminded of the jellyfish exhibition at the Monterey Bay Aquarium -- beautiful things floating in water, except this one is in space," said Edward (Ned) Wright, the principal investigator of the WISE mission at UCLA, and a co-author of a paper on the findings, reported in the Astronomical Journal. The object, known as NGC 1514 and sometimes the "Crystal Ball" nebula, belongs to a class of objects called planetary nebulae, which form when dying stars toss off their outer layers of material. Ultraviolet light from a central star, or in this case a pair of stars, causes the gas to fluoresce with colorful light. 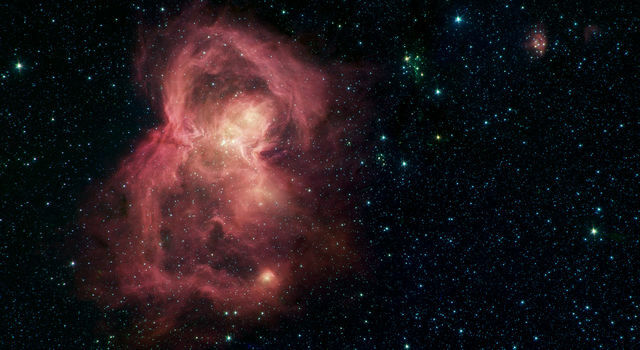 The result is often beautiful -- these objects have been referred to as the butterflies of space. NGC 1514 was discovered in 1790 by Sir William Herschel, who noted that its "shining fluid" meant that it could not be a faint cluster of stars, as originally suspected. Herschel had previously coined the term planetary nebulae to describe similar objects with circular, planet-like shapes. 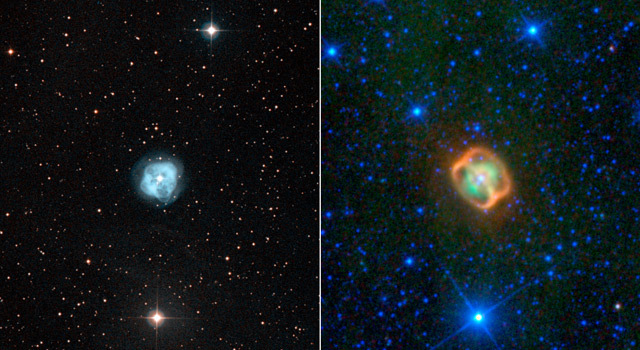 Planetary nebulae with asymmetrical wings of nebulosity are common. But nothing like the newfound rings around NGC 1514 had been seen before. Astronomers say the rings are made of dust ejected by the dying pair of stars at the center of NGC 1514. This burst of dust collided with the walls of a cavity that was already cleared out by stellar winds, forming the rings. "I just happened to look up one of my favorite objects in our WISE catalogue and was shocked to see these odd rings," said Michael Ressler, a member of the WISE science team at NASA's Jet Propulsion Laboratory in Pasadena, Calif., and lead author of the Astronomical Journal paper. Ressler first became acquainted with the object years ago while playing around with his amateur telescope on a desert camping trip. "It's funny how things come around full circle like this." "This object has been studied for more than 200 years, but WISE shows us it still has surprises," said Ressler. Infrared light has been color-coded in the new WISE picture, such that blue represents light with a wavelength of 3.4 microns; turquoise is 4.6-micron light; green is 12-micron light; and red is 22-micron light. The dust rings stand out in orange. 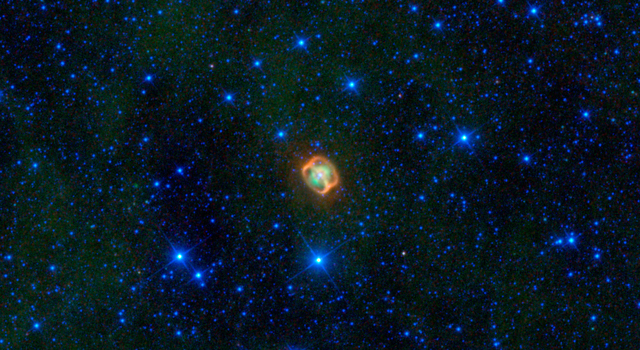 The greenish glow at the center is an inner shell of material, blown out more recently than an outer shell that is too faint to be seen in WISE's infrared view. The white dot in the middle is the central pair of stars, which are too close together for WISE to see separately. 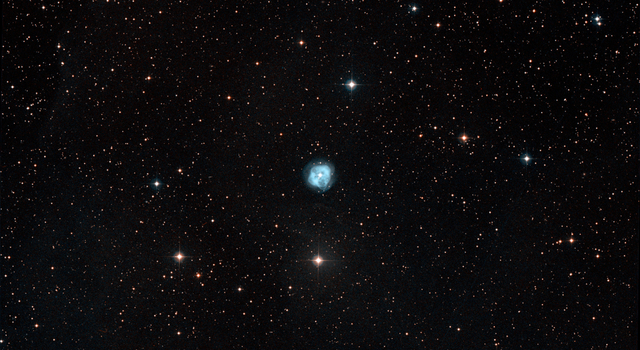 Ressler says NGC 1514's structure, though it looks unique, is probably similar in overall geometry to other hour-glass nebulae, such as the Engraved Hourglass Nebula (http://hubblesite.org/newscenter/archive/releases/1996/07). The structure looks different in WISE's view because the rings are detectable only by their heat; they do not fluoresce at visible wavelengths, as do the rings in the other objects. Serendipitous findings like this one are common in survey missions like WISE, which comb through the whole sky. WISE has been surveying the sky in infrared light since January 2010, cataloguing hundreds of millions of asteroids, stars and galaxies. In late September, after covering the sky about one-and-a-half times, it ran out of the frozen coolant needed to chill its longest-wavelength detectors. 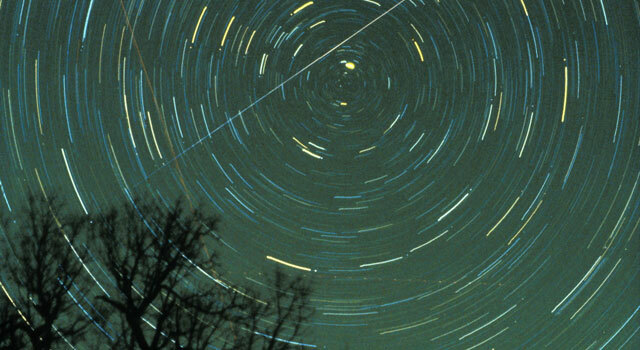 The mission, now called NEOWISE, is still scanning the skies with two of its infrared detectors, focusing primarily on comets and asteroids, including near-Earth objects, which are bodies whose orbits pass relatively close to Earth's orbit around the sun. The WISE science team says that more oddballs like NGC 1514 are sure to turn up in the plethora of WISE data -- the first batch of which will be released to the astronomical community in spring 2011. 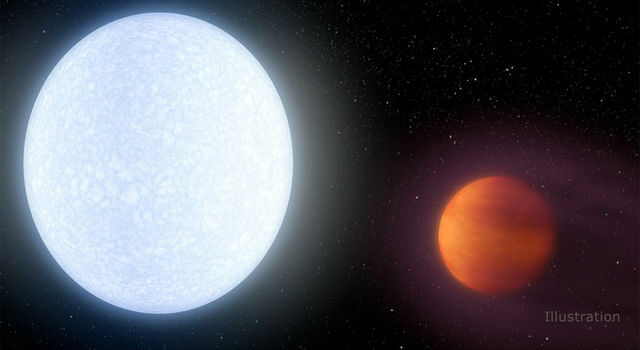 Other study authors are Martin Cohen of the Monterey Institute for Research in Astronomy, Marina, Calif.; Stefanie Wachter and Don Hoard of NASA's Spitzer Science Center at the California Institute of Technology in Pasadena; and Amy Mainzer of JPL. JPL manages and operates the Wide-field Infrared Survey Explorer for NASA's Science Mission Directorate, Washington. The mission was competitively selected under NASA's Explorers Program managed by the Goddard Space Flight Center, Greenbelt, Md. 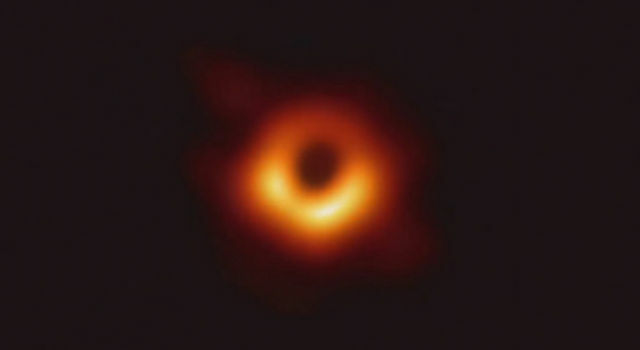 The science instrument was built by the Space Dynamics Laboratory, Logan, Utah, and the spacecraft was built by Ball Aerospace & Technologies Corp., Boulder, Colo. Science operations and data processing take place at the Infrared Processing and Analysis Center at Caltech. Caltech manages JPL for NASA. 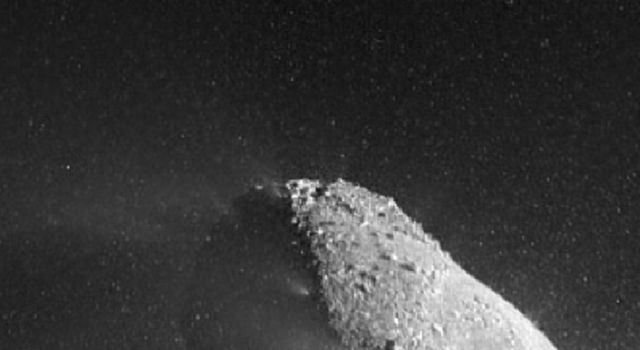 More information is online at http://www.nasa.gov/wise , http://wise.astro.ucla.edu and http://www.jpl.nasa.gov/wise .